Earlier on in the year, Intel announced its new wave of processors for 2013, with the promise that its fourth-gen Intel Core chips would deliver better efficiency and in turn allow for noticeable improvements in battery retention. Today, the new processors have been launched, and will, among other things, facilitate "new wave of 2-in-1 devices." More details after the break. There’s a real feeling with these "Haswell" chips that Intel has really upped its game. Ivy Bridge was a noteworthy bump from the preceding Sandy Bridge range, for example, but this time around, the chip maker is billing the upgrade as the biggest ‘generational leap’ it has ever attempted. Haswell will see laptops and so-called two-in-one hybrids to become even thinner than ever before, and thanks to the more efficient use of battery, last a great deal longer between charges. Many of us struggle to get through more than six hours on our notebooks before those warnings begin to appear, but with Haswell on board, the stakes will certainly be higher. One particular version of the chips features CPU cores which utilize only 6 watts of power during regular tasks, which is incredible, but while this all sounds fine and dandy, the prices will raise more than a few eyebrows. The promise of up to 50 percent more battery life is very enticing – don’t get me wrong – but at what cost? Well the 15 watt dual-core i5 and i7 cost $342 and $454, and when one considers that these are just the wholesale prices offered to manufacturers, you begin to see that behind the grandeur and advanced tech, there’s a potentially significant stumbling block. To put things into perspective, the i5 and i7 Ivy Bridge Ultrabook range cost $250 and $346 respectively, which makes Haswell a full $100 leap from the previous generation. Considering the power benefits, as well as the fact that Haswell’s power consumption is low enough for it to be used in "cooler, quieter, fanless designs," there will be plenty of consumers looking to take advantage of Intel’s efforts. 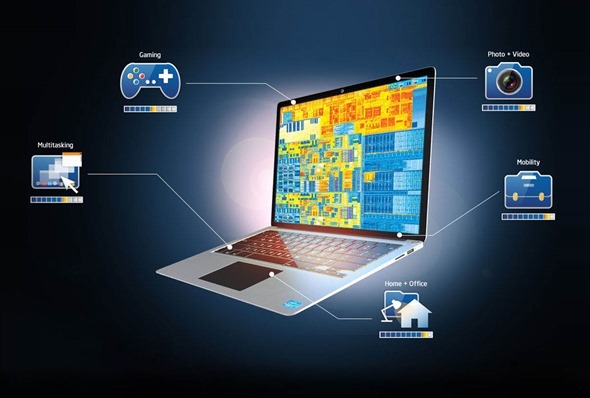 What do you think, are you impressed by Haswell? Or is Intel fighting a losing battle against the ARM-based smart devices that the tech market is currently awash with? Share your thoughts below!